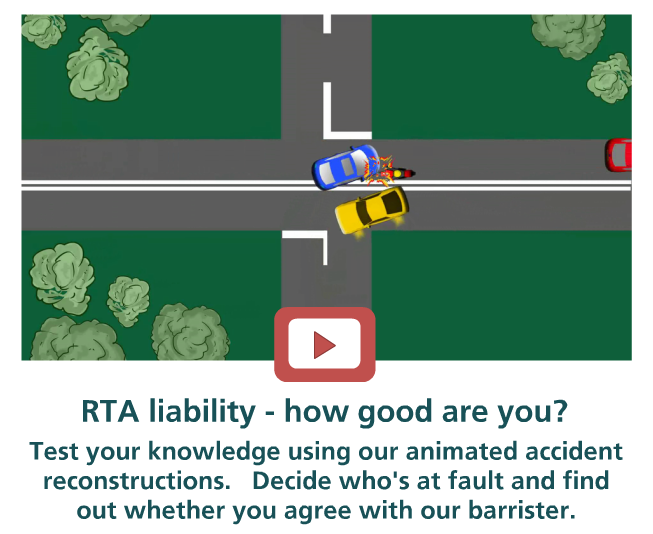 Does your Road Traffic Accident (RTA) team know a good claim from a bad one? Do they know their stuff on law and procedure? Do they run their large RTA caseloads as effectively and efficiently as possible? This course has three modules aimed specifically at fast track RTA litigators. You can select one or more modules to suit your RTA team’s training needs. Each module includes a one day workshop followed by online assessments. There are three, one day workshops that cover liability, general and special damages. Delegates work in teams to analyse cases and apply your procedures. The tutors are experienced solicitors and barristers who draw out the key learning points through discussion and feedback. We have 15 online assessments that delegates undertake at the conclusion of the workshops. Each assessment takes between 30-60 minutes to complete. The assessments allow you to check understanding and to identify any areas where additional support might be needed. They can take place after each module, and we also offer a final course assessment. The final course assessment takes 1.5 hours to complete and requires delegates to use all their skills to assess liability, and then value special damages and general damages. The assessments can also be used as recruitment tools to check candidates’ knowledge. We can even incorporate your firms own documents into the training to ensure that it's authentic as possible. "I just wanted to send a quick email thanking you for ….. the training on Friday. The content was exactly as we had wanted, and once again, Roxanne delivered it all brilliantly!"